I'm back with another Spring Look! 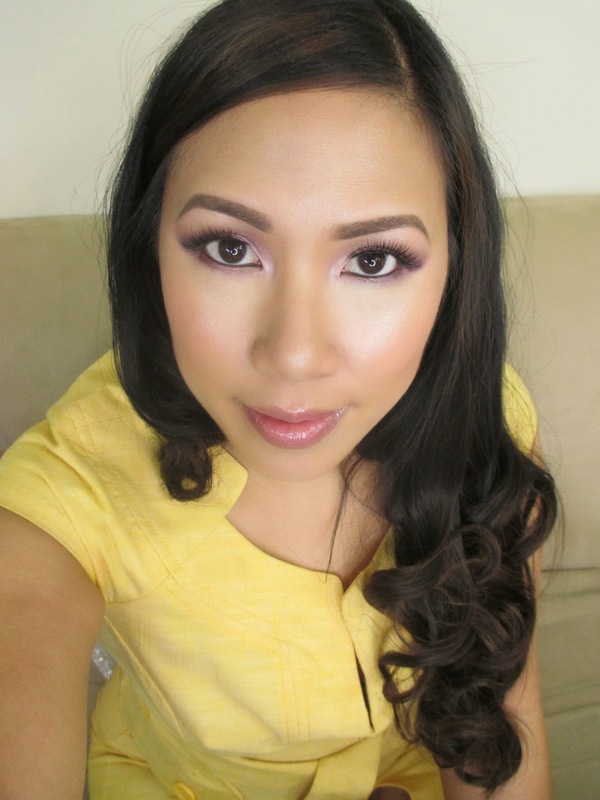 I recently received a pigment stack from Steelo Cosmetics and I wanted to give it a whirl. There were a ton of gorgeous colors to choose from. Plus, the colors perfectly coordinated with my outfit via color theory. Check it out! 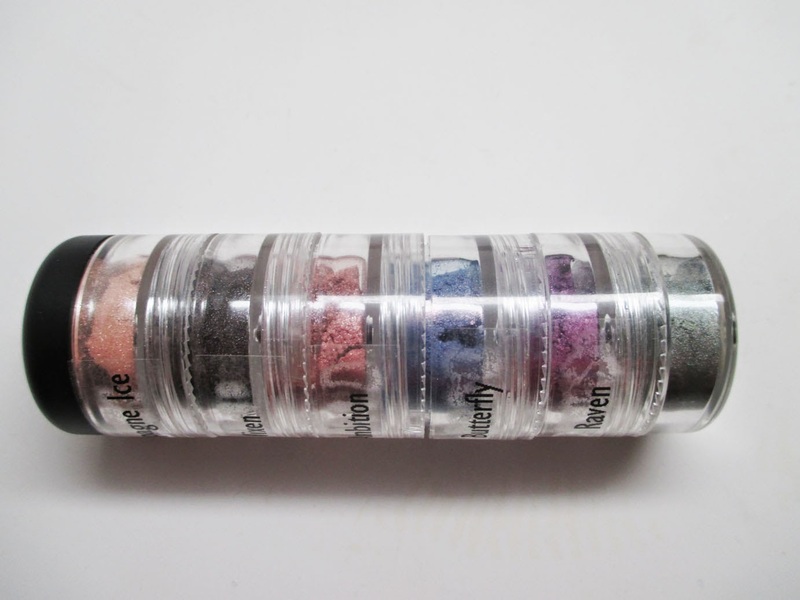 Check out this gorgeous pigment stack from Steelo Cosmetics. 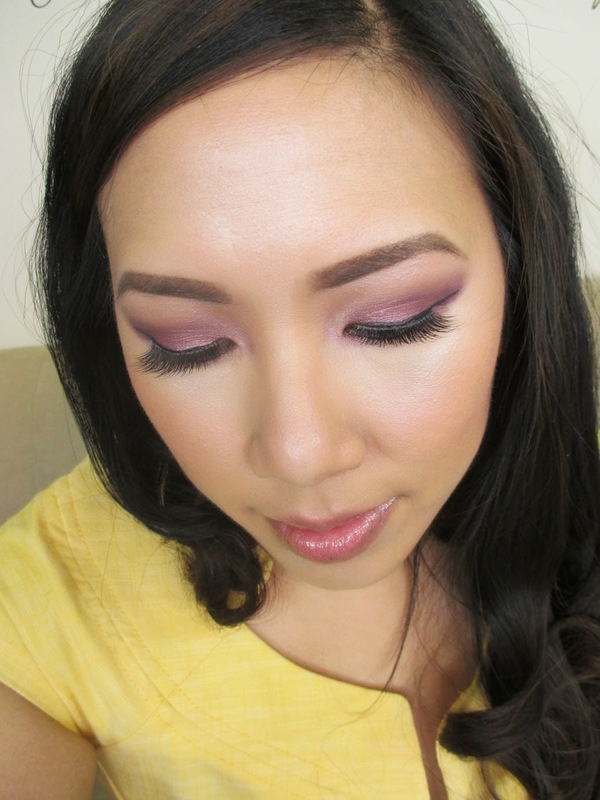 My focus was on the violet color Raven and then I built around it using a light pink and darker purple. I applied my makeup for a special occasion. My non-profit Generacion Latina, Inc was hosting an end of the year celebration. Everyone on the executive board was to wear yellow. I had recently hosted a color correction class for my ATL Makeup Meetup. In the class we mentioned that colors opposite each other on the color spectrum really pop and it's a great way to pick makeup and outfit choices. Yellow is opposite purple (think LA Laker colors) and I instantly knew that was the look I would rock. We did do a bit of salsa dancing and my face stayed on all night! Top it off with a mauvey pink blush and lipgloss and I was good to go! Hope you enjoyed! Till next time, Ciao Bellas!